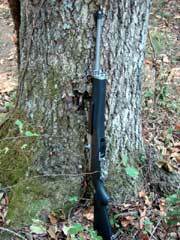 Ruger’s Mini-14 has been with us for decades now, and I have owned a few of them. It has never been famous for its match-grade accuracy, or lack thereof. 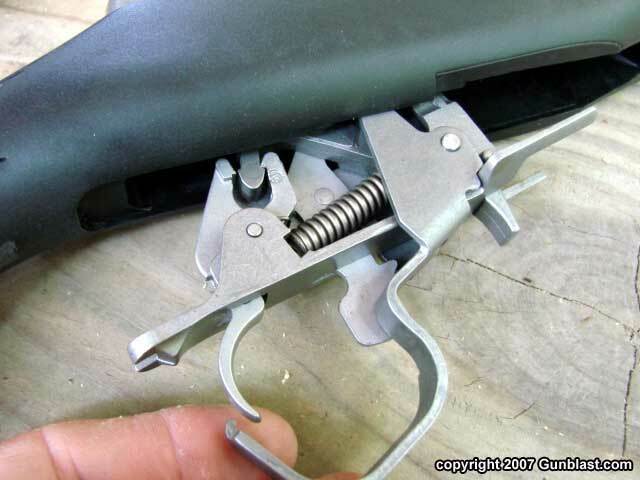 It seems that most later Minis are more accurate than earlier ones, but still, with the exception of the new Target Mini-14, they were never intended nor designed to be a bench rest gun. 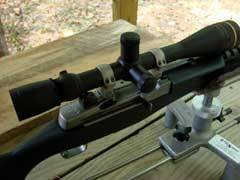 The Mini-14 is a handy, reliable, and accurate enough weapon. 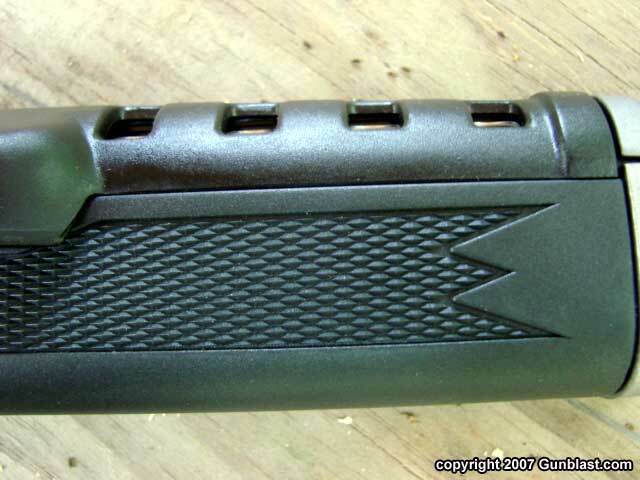 It is a rifle that is at home in the rack of a pickup, beside the bed at night, or in the trunk of a patrol car. 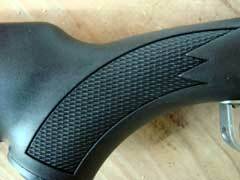 It is a modern day equivalent of the old cowboy’s and lawman’s lever action carbine in a saddle scabbard. 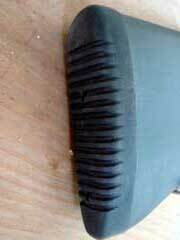 It is a working rifle. 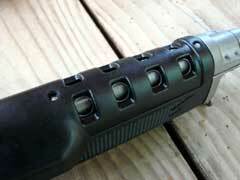 The Mini-14 will take abuse and rough handling without any complaints. 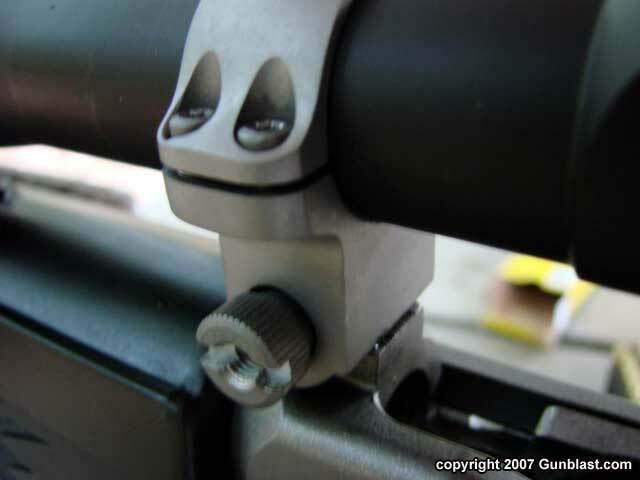 Now, if you want a bench gun with which to sit at a concrete table and shoot tiny groups in paper at extended ranges, the Mini-14 is not the best choice. However, if you want a handy little carbine with which to stand on your hind legs and shoot critters, or a weapon with which to defend the homestead from the dregs of our society, the Mini-14 will fill the bill. 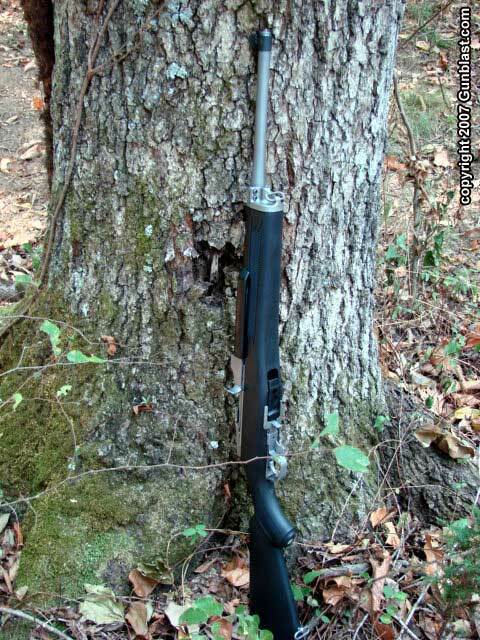 I find that the only shooters who are disappointed in the Mini-14 are those who are expecting it to do that for which it was not designed, and those who want more power from their Mini-14. 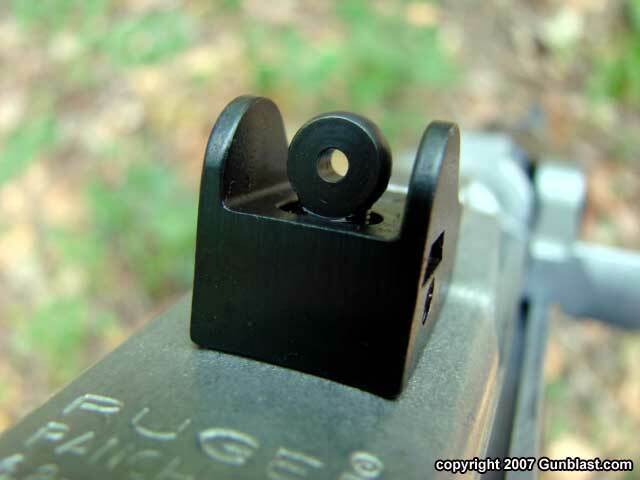 The first group I cannot help, but for those who want more power, and for whatever reason do not want the 7.62x39mm Mini-30, Ruger is now in production of the Mini-14 chambered for the 6.8 SPC Remington cartridge. 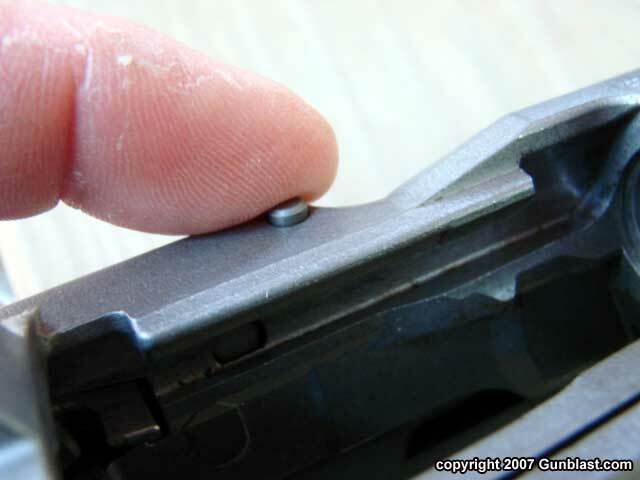 The 6.8mm SPC was designed to be a military cartridge as an improvement over the 5.56mm NATO round currently employed by our nation’s military services. Whether or not that goal will reach fruition, I do not know. 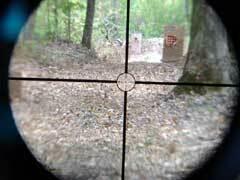 For medium range applications against human targets, it offers promise. 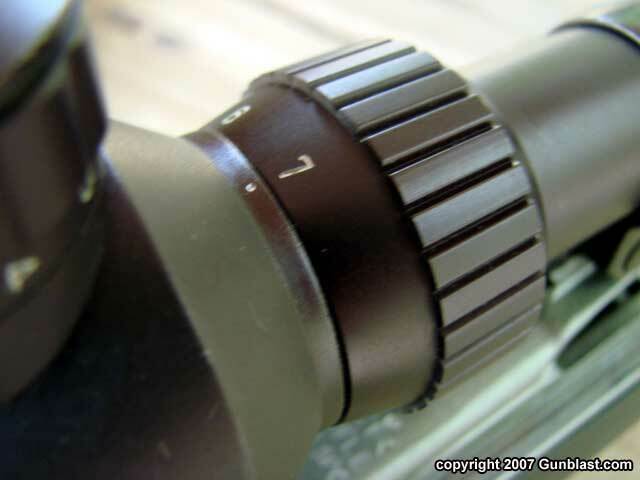 For long range work, the 6.5mm Grendel is proving to be superior, but again, that is asking the 6.8mm SPC to perform a task for which it was not designed. 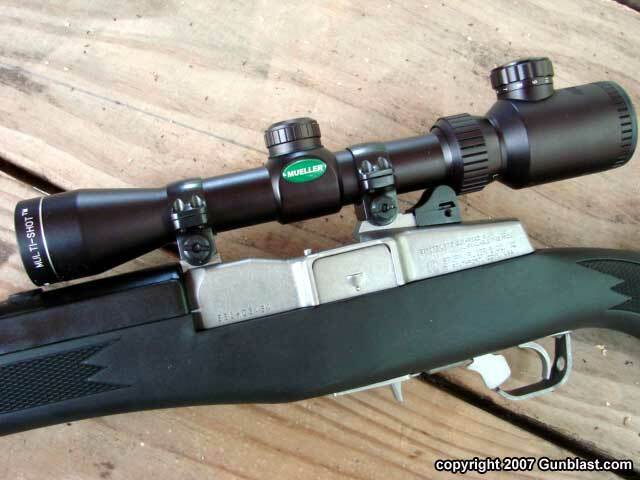 In the Mini-14, the 6.8 SPC promises to be a good short to medium range cartridge for hunting medium-sized game, such as whitetail deer, in addition to the Mini-14’s traditional role as a varmint and predator hunting carbine. 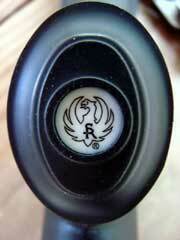 The 6.8 SPC uses a .277 caliber bullet with an optimal weight range in the 115 grain area. 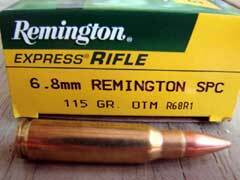 The Remington factory load uses a 115 grain jacketed bullet that is specifically designed for the cartridge, and makes the best use of the cartridge’s case capacity. Heavier bullets protrude into the case farther, using up valuable powder space. 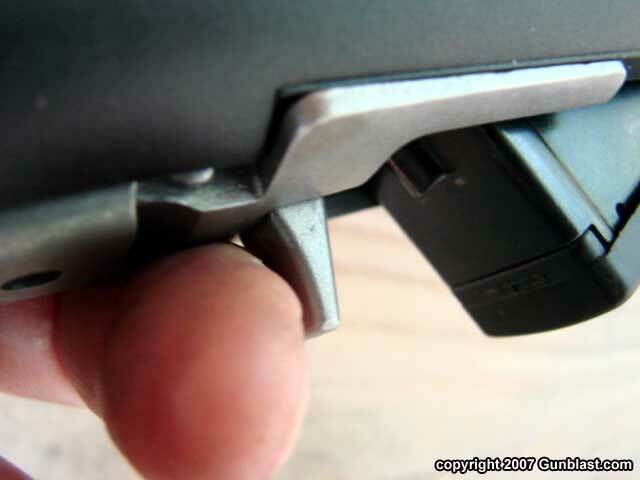 Seating the heavier bullets out farther makes the cartridge too long to work in the magazines of the weapon that it was designed to fit; the AR-15/M-16/M-4 family of rifles. The Remington factory load clocked an average of 2462.7 feet-per-second (fps) from the Ruger’s 18.5 inch barrel, with the chronograph eyes set at ten feet from the muzzle. Handloads using the 110 grain Barnes Triple Shock X (TSX) bullet exceeded that a bit, with my favorite load running 2534 fps at ten feet from the muzzle. 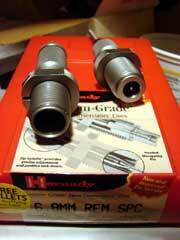 The load consisted of 29 grains of H322 powder, a Federal 210 primer, and the Barnes TSX loaded into Remington cases. This load has not been pressure tested, but miking case heads and observing primer marks and primer pocket size showed that this load is safe in THIS rifle. Yours might be different, so start with about 27.5 grains, and work up from there. This handload was also very consistent, with an average deviation of just eleven. 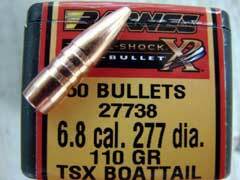 I like the Barnes TSX bullets, or any of their X bullets, and think that this will make a dandy load for deer-sized game, based on my previous experience with X bullets. I have confidence in them. 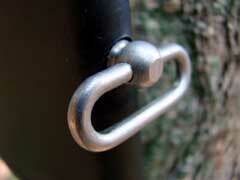 They are of all-copper construction, and will not disintegrate when hitting heavy bone. 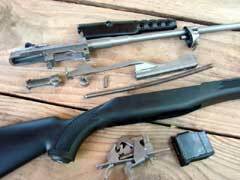 For a few particulars on the rifle, it will be familiar to those who know the Mini-14. 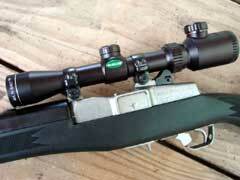 It is of the Ranch Rifle configuration, having a built-in scope base, and is supplied with sturdy Ruger scope rings. 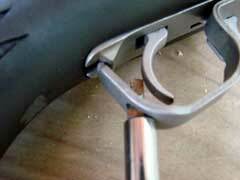 The ejection pattern of the Ranch Rifles is also flatter to the side, to avoid hitting a scope with the fired cases. 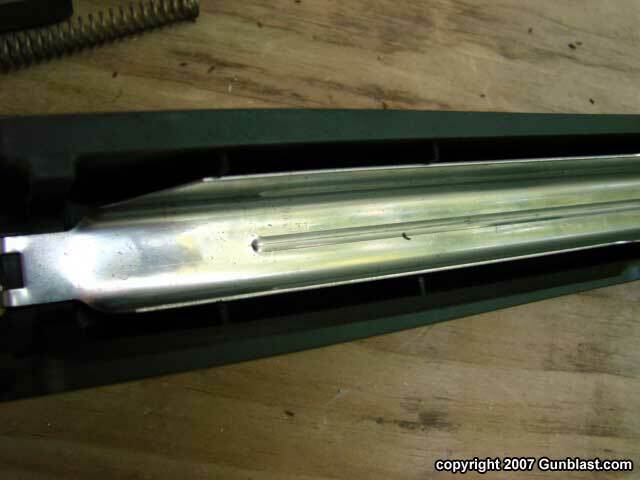 The barrel measures eighteen and one-half inches in length, and is of a slim profile, measuring just five-eighths of an inch for the last approximately seven inches. It is heavier under the handguard, which is ventilated to dissipate heat. 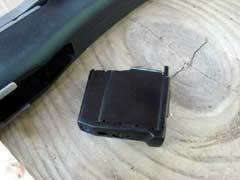 The action is of a gas-operated semi-automatic design, and the magazine holds five cartridges. That cartridge capacity is fine for a deer rifle, but a larger magazine would be nice if the rifle is to be used for defensive purposes. 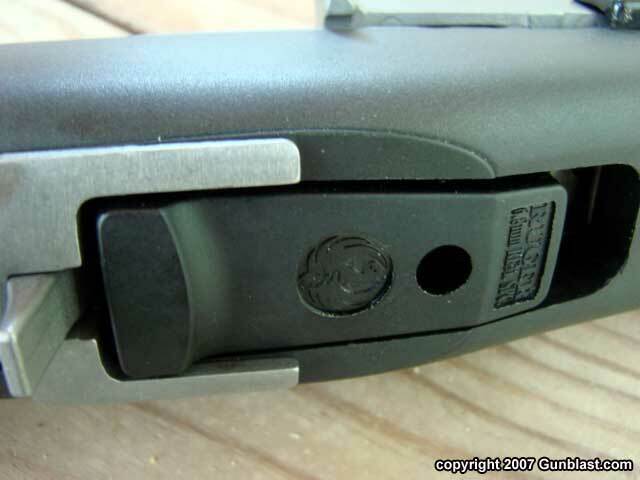 I seriously doubt that Ruger will offer larger magazines to the general public, as they do not for their 5.56mm and 7.62x39mm rifles. I wish that they would at least offer a ten-shot magazine. There is no reason not to, and it would likely help to sell a lot more rifles. 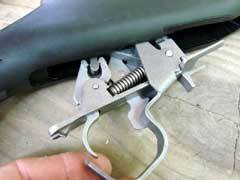 A ten-shot mag would still be handy, and would make the Mini-14 much better for defensive work. Ruger sells 20 and 30 round magazines to law enforcement, and should to other citizens as well. If trying to defend one’s home from attackers, a lone homeowner needs every bit as much, if not more, firepower than does an officer coming to his aid….eventually. 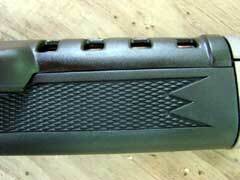 The 6.8 SPC Ranch Rifle is primarily of stainless steel construction, with a stock of injection molded black plastic. The stock seems to be plenty rugged, and has molded-in checkering on the forearm and pistol grip, and has a synthetic rubber buttplate attached. Like all Minis, the new rifle is very easy and quick to field strip for cleaning, and the internal parts are robust and durable. 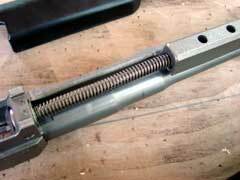 The operating rod cycles with the action, and the handle serves as a forward assist to fully close the bolt on a stubborn cartridge, if needed. The action locks open on an empty magazine, and can be manually locked open by depressing a button atop the receiver. The Ruger comes supplied with built-in sling attachments, as should all hunting rifles. 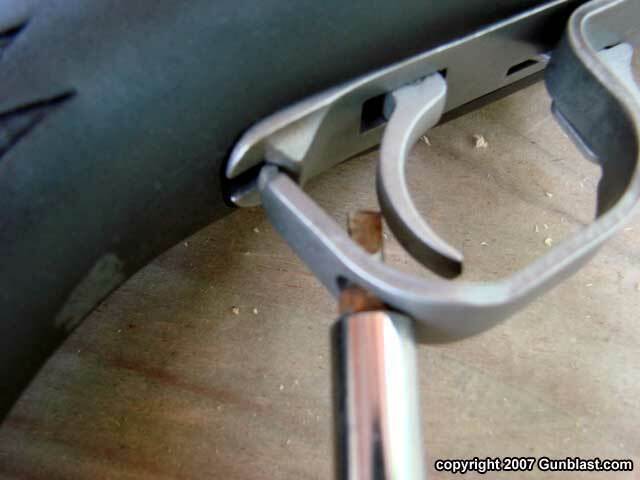 Thankfully, the safety is ambidextrous, and is in the front of the trigger guard, just as God and John Garand intended. 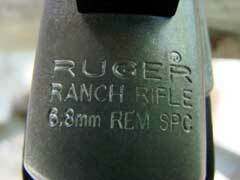 The 6.8 Mini has Ruger’s latest version of sights, which are rugged and easy to see. The trigger pull measured just over four and one-half pounds, but it is a simple design to improve by slightly stoning the bearing surfaces. Any good gunsmith can do that job for you, if needed. 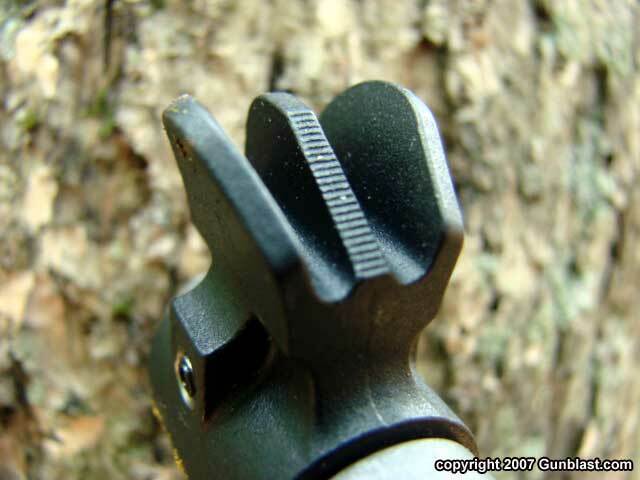 Most will like the trigger just fine as is. It is certainly better than the trigger pull on most AR-15 rifles available. For informal shooting and hunting purposes, I mounted a Mueller 2 to 7 power lighted reticle scope. This is a dandy scope which will most likely ride atop an inline muzzleloader this season, but it fits perfectly with both the size and mission of the 6.8mm Ranch Rifle. 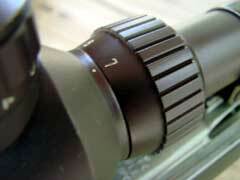 For accuracy testing, I mounted my "mule" scope; the Leupold 6.5 to 20 power Mark 4 Target model. 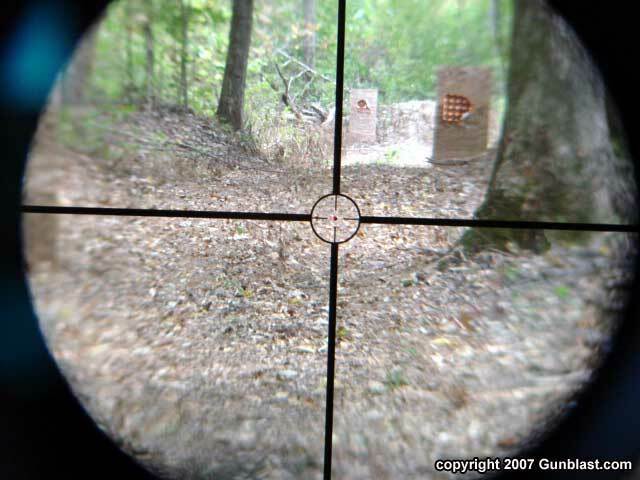 I trust this scope to tell me how good a rifle will shoot. 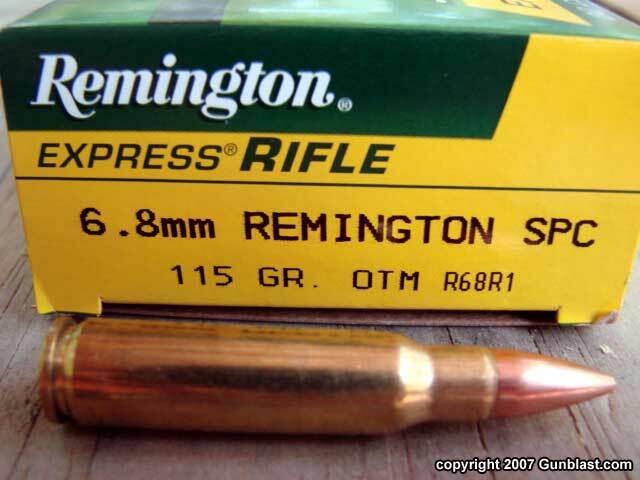 I started out with the Remington factory ammunition, and I was disappointed in the performance of the Ruger with this ammo, at first. 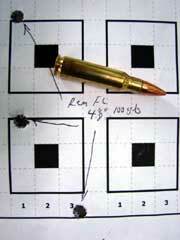 I could get no better than four to five inch groups at 100 yards. Admittedly, as discussed earlier, this is not intended to be a target rifle, but dern it, the gun should do better, and it later did. When the factory ammo would not perform better than that, I was ready to give up, but I needed the cases for handloading, so I kept shooting. After about forty-five rounds were fired through the rifle, the groups started getting better, and better, and still better, shrinking in size with every new group fired. 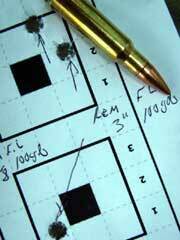 The last three three-shot groups measured just three-quarters of an inch across, center-to center. I couldn’t believe it, but was pleasantly surprised, and also out of ammo. Sixty rounds was all that I had available. 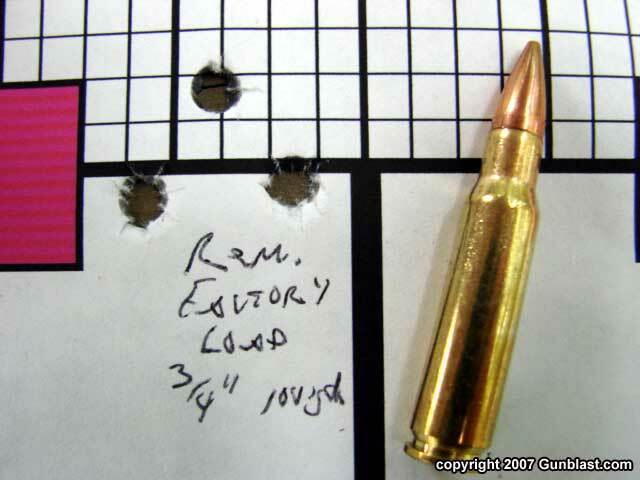 Handloading the Barnes TSX bullets, I could not duplicate the groups fired with the Remington factory stuff, but the Mini still delivered two-inch groups at 100 yards using the load listed above, which is plenty good for hunting whitetail out to about 175 yards or so. Playing with other powder/bullet combinations might, or might not, result in tighter groups, but I like the Barnes bullets, and will stick with that load. 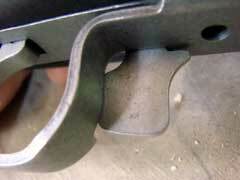 Incidentally, this Ruger proved to be more accurate than any 6.8 SPC AR-15 that I have fired to date. I keep mentioning AR-15 rifles because they are the closest competitor on the market to the Mini-14, but the ARs usually cost more, and in 6.8 SPC, perform no better. Functioning was perfect in the 6.8 Mini, as expected. Weighing in at six pounds, twelve ounces with an overall length of just thirty-seven and three-eighths inches, the Mini is a handy, reliable, and rugged little carbine. This particular one also proved to be very accurate, after the barrel got seasoned and settled in. 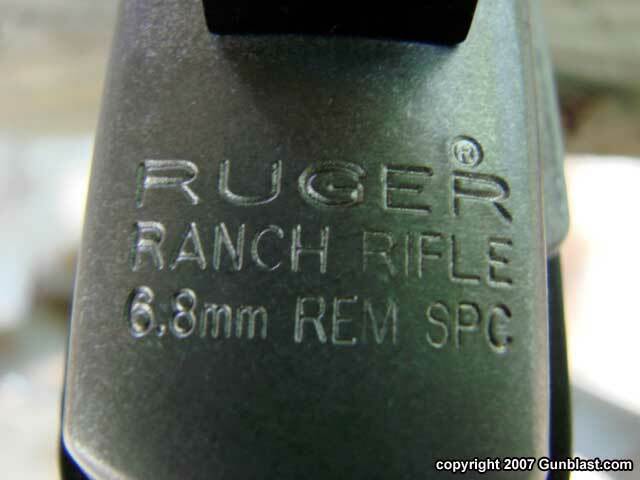 The 6.8mm SPC cartridge gives the Ruger Ranch Rifle owner another choice of cartridge, and adds to the versatility and power of the reliable little carbine. For more information on Remington ammunition, go to: www.remington.com. 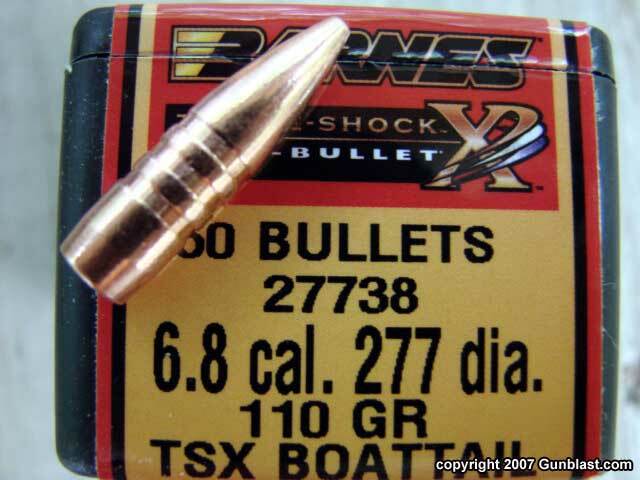 To order the Barnes TSX bullets, go to: www.barnesbullets.com. Ruger's Ranch Rifle is equipped for scope mounting, but also includes iron sights. The Ranch Rifle is also factory equipped with sling mounts. 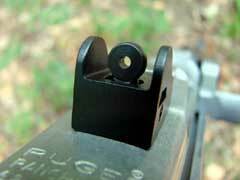 Ruger offers the rifle only with five-shot magazines. 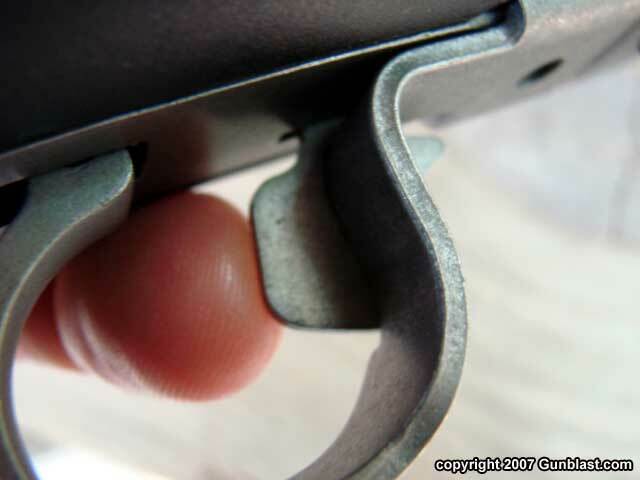 Garand-type safety is perfectly located for right-handed or left-handed shooters. 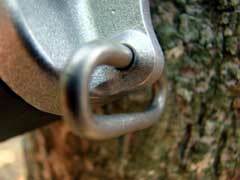 Field stripping is quick and easy. 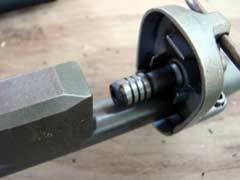 Gas system is simple and reliable. 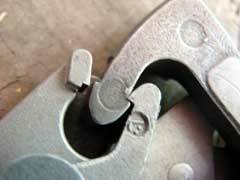 The Mini-14 design features a robust and reliable sear/hammer system. 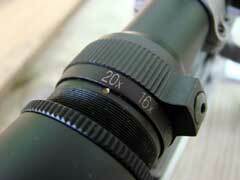 Mueller's 2-7x variable lighted scope is an excellent choice for the field. 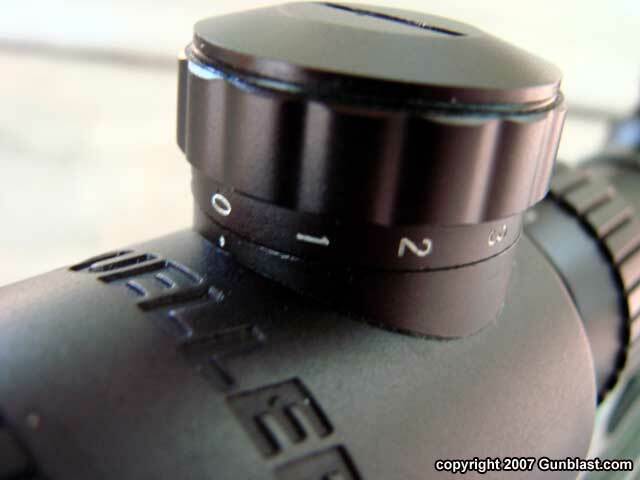 For serious accuracy testing, author mounted a Leupold 6.5-20x variable scope. 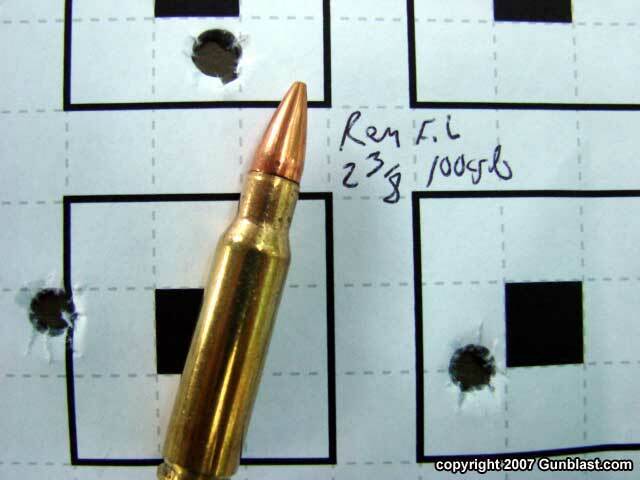 Remington's 115-grain factory ammo proved very accurate after a brief shoot-in period, with groups getting progressively better. 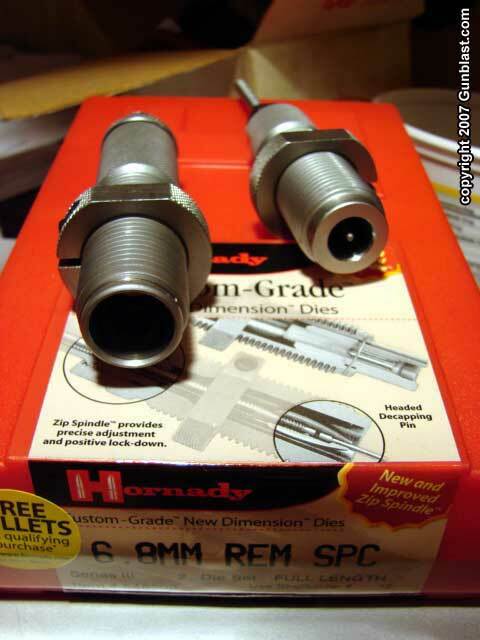 Hornady offers excellent dies for the 6.8 Rem. SPC. 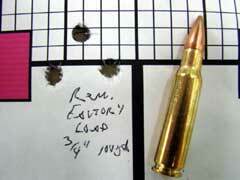 Jeff's favorite bullet for handloading the 6.8 Rem. SPC is Barnes' 110-grain TSX Boattail.